I feel like every other week the weather has suddenly decided to divert to a different season. Now that we are a decent bit into October I am so wishing that it would make up its mind already. I know that I probably shouldn't wish to be wearing sweaters and layers just yet since I know I will have plenty of time for that but not sweating when wearing jeans would be a fantastic start. Because of these constant fluctuations in weather I have found myself reaching for looser tops to offset pretending it is pants season. 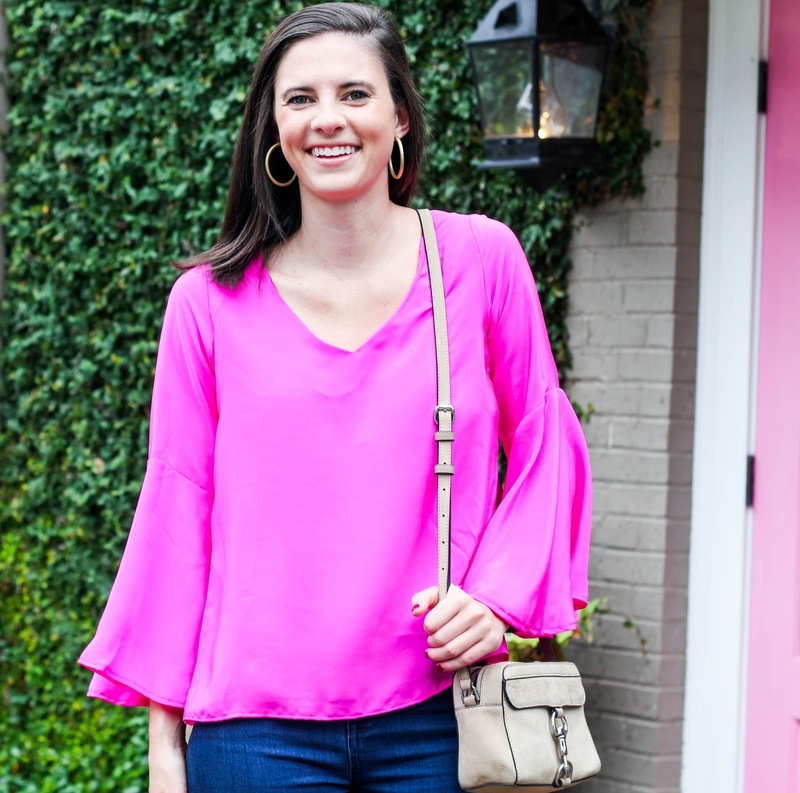 I've followed along with Caroline Dawn for a while now and after seeing the most recent pieces launched knew that some of them needed to make their way to my wardrobe! 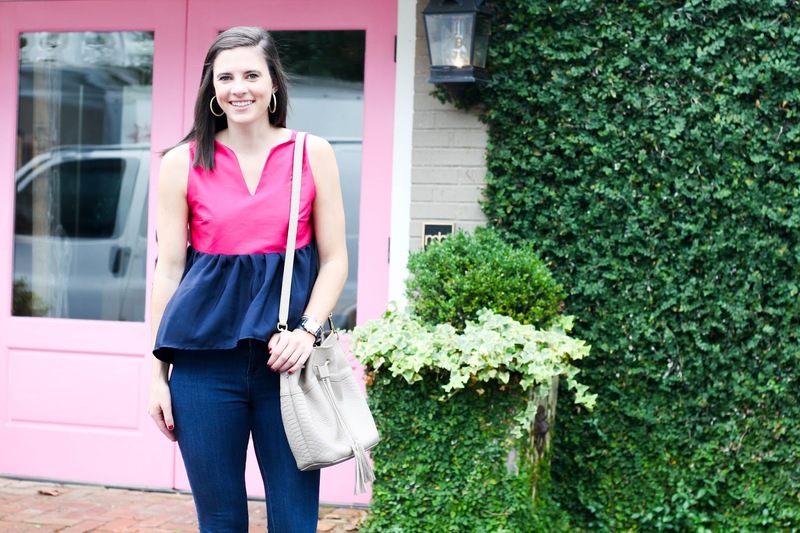 This color block tank with a peplum hem was right up my alley! 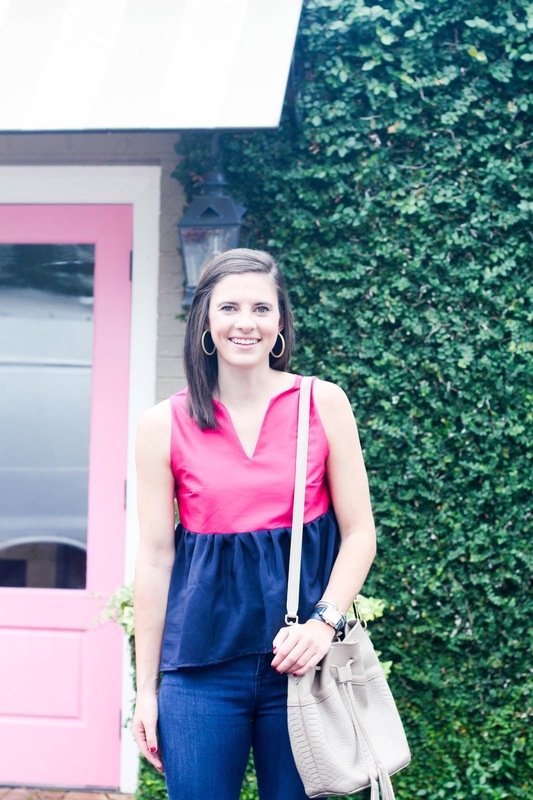 The quality of the top is amazing (fully lined for one) and the cut is flattering and unique while still being wearable time and time again. The raspberry color screams fall to me and mixed with some grey accessories it seems to act the part. 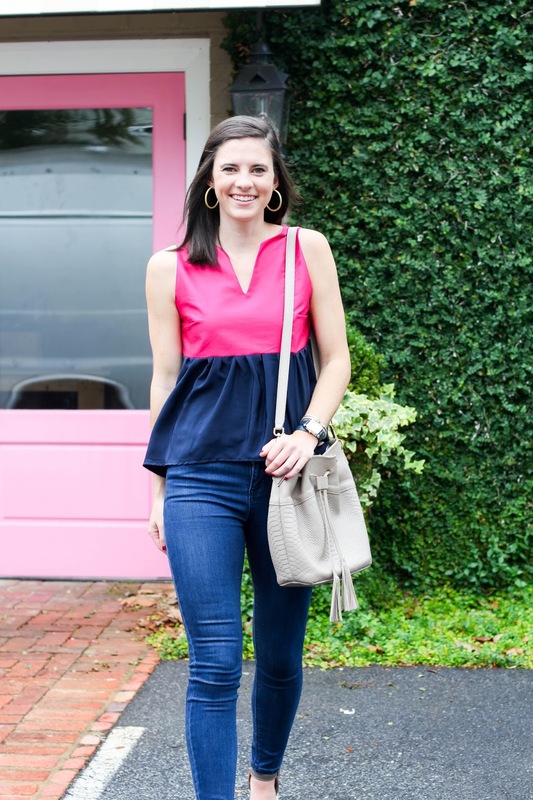 While I am usually one to gravitate toward longer silhouettes that cover my hips the slight high-low style of this top and flare of the peplum still leave me feeling comfortable! 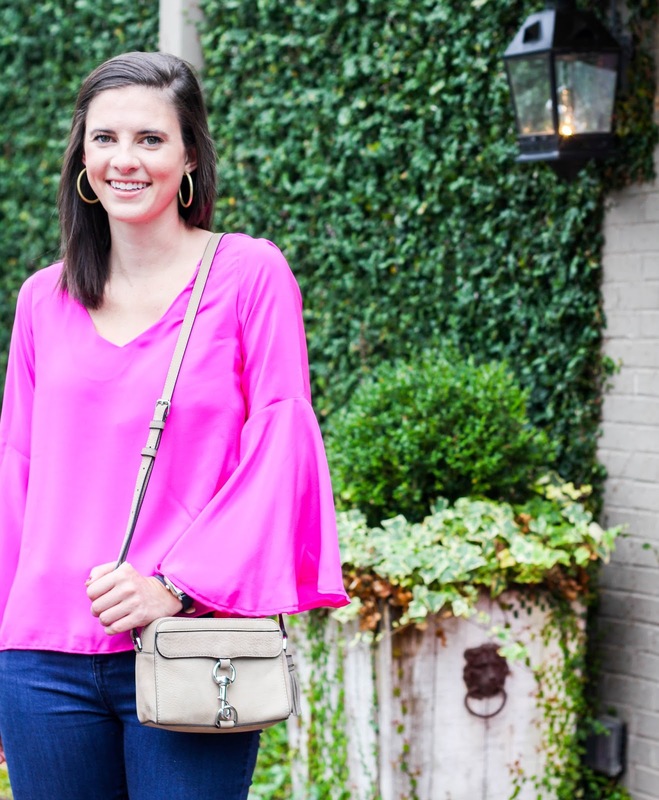 Although you are unable to see the wedges I styled with this top I have found myself living in them as of late since the grey and design of them seem to lend themselves towards fall. 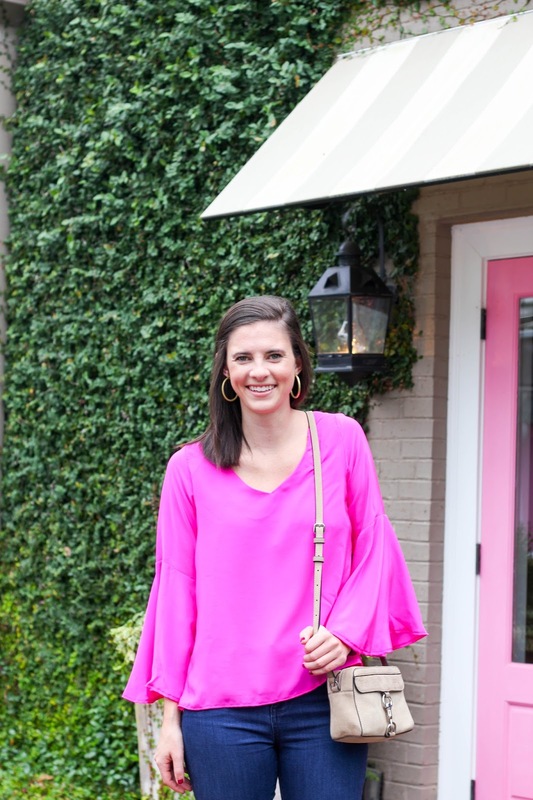 As if that top weren't enough, this bright pink number with bell sleeves also from Caroline Dawn is soon to be worn on repeat. After gearing my closet up for fall this past weekend I discovered I have a lot more neutrals than I remembered which is great, but there is no harm in mixing it up a bit either. 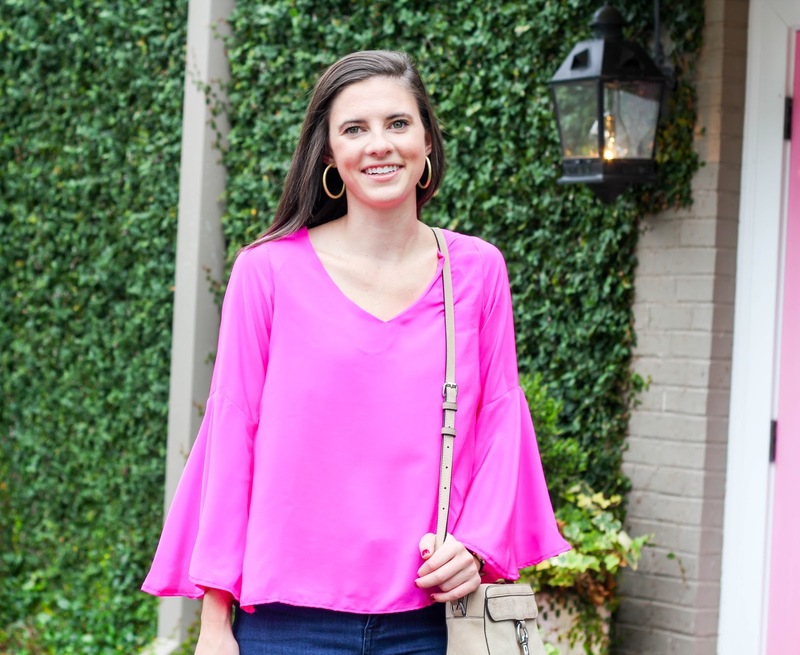 This Waverly Top with it's bright color, open back, and bell sleeves is perfect to wear out and about before the temperatures drop. 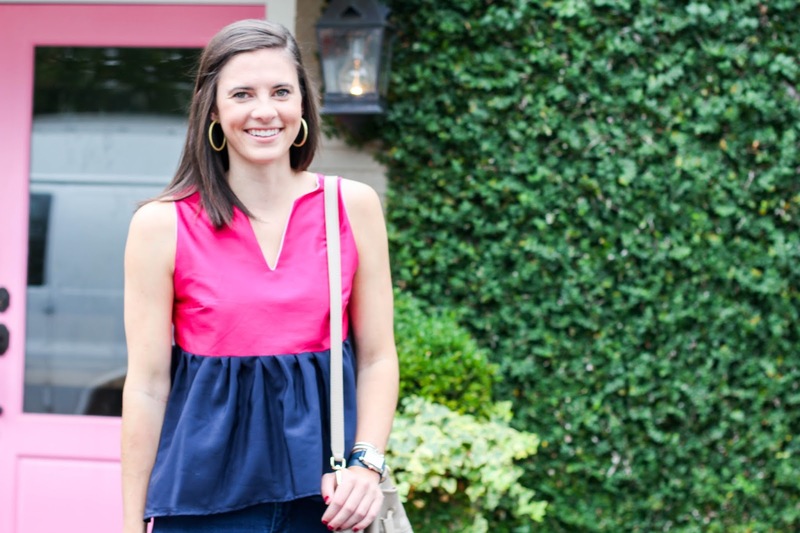 The slight v-cut of the neck makes a necklace optional and the loose, silky material is breathable on those oddly hot fall days that South Carolina has too many of. 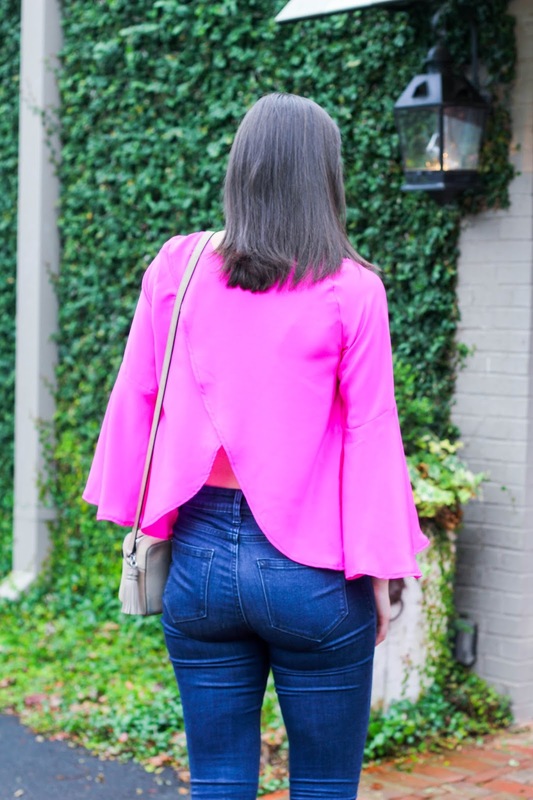 With such a bright color I figured that the rest of the outfit could be more simplistic so I paired this top with some of my favorite hoops, jeans, and grey accessories. 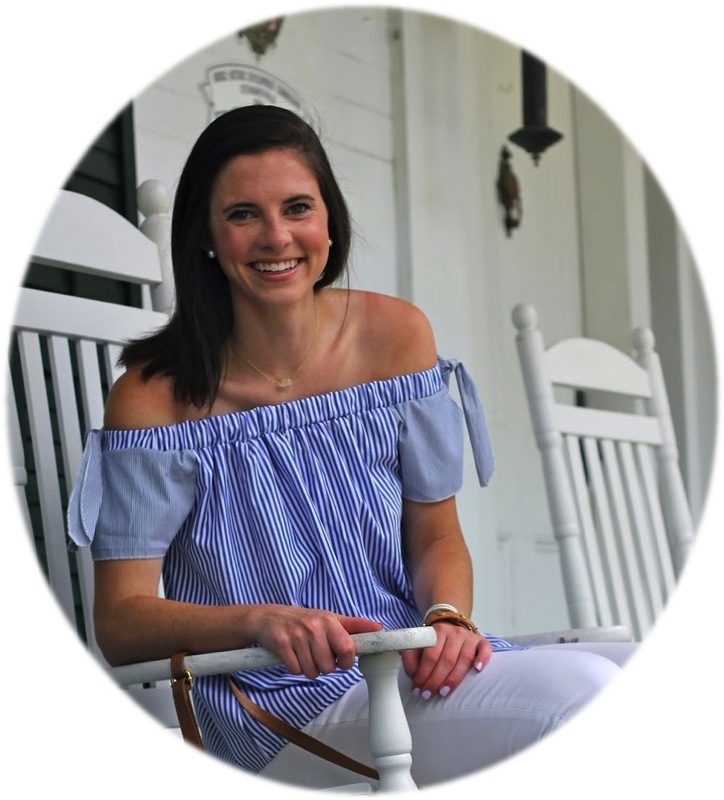 If you haven't had the opportunity to check out Caroline Dawn's site definitely do that to shop the cutest pieces that I know I will look forward to pulling out year after year! And if you have any tips for dressing the part in this weird fall weather please do share!